All this talk gave me a hankering to smoke a fine handmade. 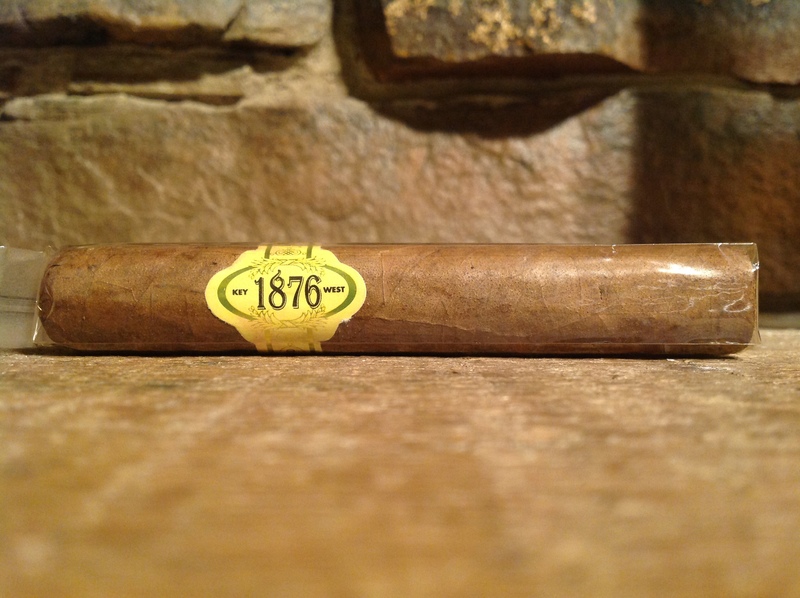 Lacking a fine handmade, I decided on a mediocre handmade, a 1876 Reserve robusto. I've had these for quite a while, back when the robustos were $50 two fers from CI. Really, they are a good Dominican cigar. I sniffed it real good and just fired it up. King of the world! Those look like a nice mild smoke. Even at the current price of 50 for $75, that's still a pretty darn good price. I might have to fire up a stick tomorrow too. I have a nice spread of them generously sent to me by @MikeDennison, and it's been a few months since I've had one. Well well... apparently nothing is sacred it seems . You guys just dont appreciate htl is what it is . And the price of handmades !!! Jeez .... lol . I'm leaving 4am for a work trip and tossed an El Rey del Mundo cafe noir in with my DM Palmas . A good handmade is more than good , they're killer . Boys, I know nothing about cigars. The first cigar I ever smoked (very recently) was, as I was informed, a handmade. And I got five of'em on Cigarbid.com for five bucks. My beginners humidor is entirely stocked with handmade cigars that I paid 1 buck apiece for. A buck? That's pretty blue collar to me! Having a La Perla Habana Black Pearl Morado Robusto(courtesy of MD) on this cold and foggy morning. One of the more floral cigars I've had, and it's actually really nice. I'm doing this one myself. Whew! Dear Sweetie won't be in the den tonight! Smoakay! I am buying more of those. That was one of the better sticks I've had in a long time. 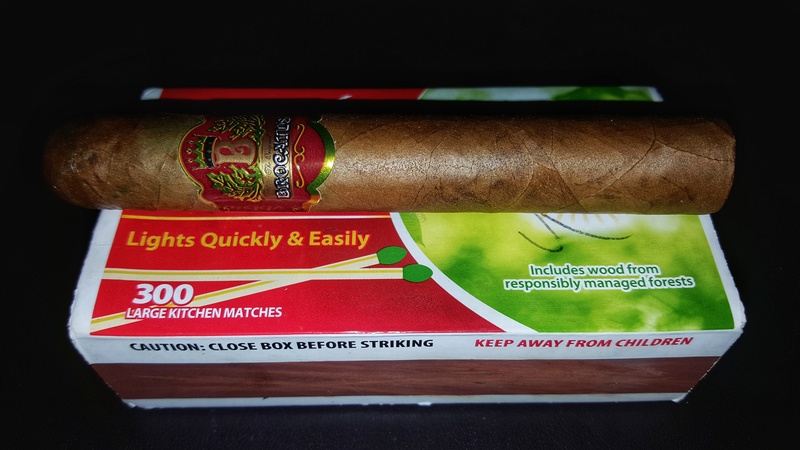 This Brocatus Robusto. Ice cold Vernors on the side. Wow... Really hard to draw through this one!